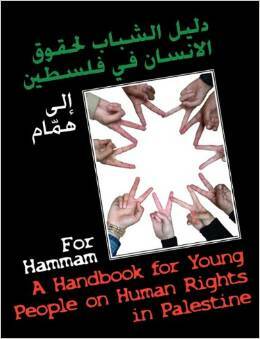 A Handbook for Young People about Human Rights in Palestine. Information for young people looking at the human rights situation in Palestine, based on the work of young people from Palestine and Britain during summer 2009 in the Youth Ambassadors for Human Rights project. Structured as a practical handbook with reference pages on human rights, international humanitarian law and children’s rights, the book examines the rights that the young people found most important, and uses the young people’s words to explain the reality for young people in Palestine now. The book begins with questions to stimulate enquiry and ends with a reference section and ideas of ways to be practically active in promoting human rights.